You’re pregnant — or you want to be. So even if you’re usually the most laid back human on the planet, you might be starting to feel just a little bit (or a lot) concerned about a very big thing: how to make sure that your growing baby is growing healthily while inside you. It’s good that you’re thinking about this because although lots of aspects of pregnancy and birth are down to genetics and coincidence. There are also loads of things you can do to look after your little one from the moment you conceive — and even earlier than that, from the moment you decide you want to have a baby. If you’re already pregnant, don’t worry — just because you didn’t do these things before you conceived doesn’t mean your baby won’t be healthy. But if you’re trying to conceive you can start preparing your body for pregnancy right now. There’s no need to change your entire lifestyle. But start paying attention to the food you’re eating. Go for nourishing and healthy. Make sure you’re getting enough calcium and watch your sugar intake too. If you drink lots of coffee or alcohol start cutting down now. And if you smoke, it’s time to put serious effort into giving up. Importantly, increase your intake of folate. It may be possible to do this through your diet, but most physicians recommend taking a folate or folic acid supplement. If you don’t already exercise regularly, get on that! You don’t have to become a marathon runner but try to include gentle exercise, such as yoga, swimming or walking in your daily routine. During your pregnancy you’ll have regular prenatal appointments with your doctor. 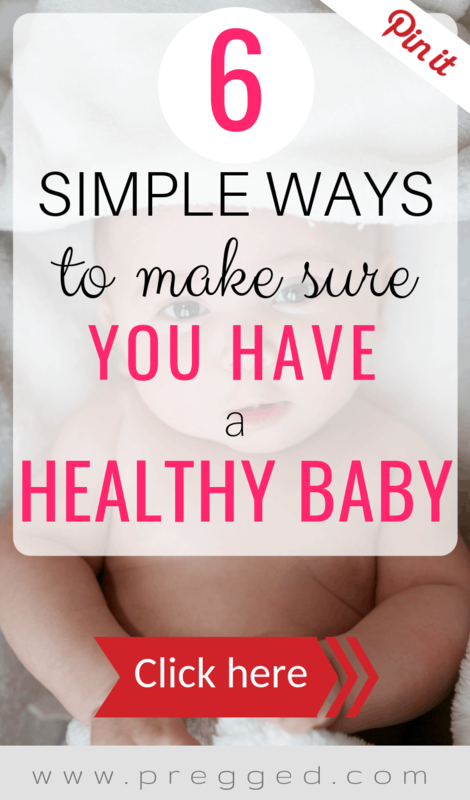 To look after the health of your baby — and of you — it’s good to start this process early. When you get that first exciting positive on a pregnancy test give the doctor’s office a call and schedule in your first appointment. This appointment will involve lots of questions as you run through your medical history and take the necessary tests to check on the current state of your health. But it’s also an opportunity for you to learn about what to expect in your pregnancy and your physician will give you up-to-date advice on diet, exercise, supplements, and other key factors in pregnancy health. Be honest at this appointment. A good doctor will not judge you if your current lifestyle or diet choices aren’t the best for your baby, and having accurate information about your health will mean they can give you the best possible support. This may seem obvious to some but if you do smoke or regularly drink alcohol it can be really tough to give up. According to the American Lung Association, smoking is responsible for a large number of pregnancy complications. They include up to 30% of low-birth weight babies, up to 14% of preterm deliveries, and around 10% of infant deaths. Drinking alcohol while pregnant puts your baby at risk of fetal alcohol syndrome and other complications including low birth weight, premature birth, abnormal development and miscarriage. Cigarettes and alcohol are addictive substances, so if you’re struggling to give up it’s important to seek help. Start by telling your doctor what’s going on and she or he can refer you to the support services you need. You can also read our article on the 7 Best Ways to Stop Smoking in Pregnancy. The other addictive substance to keep an eye on is caffeine. As well as coffee and tea, there are lots of different drinks and foods that have a high caffeine content, including coke and other soda; chocolate; some ice cream and hot puddings; and over-the-counter headache remedies. Caffeine crosses the placenta barrier and reaches your baby who cannot metabolize it effectively. The American College of Obstetrician Gynecologists advises that pregnant women limit caffeine intake to no more than 200 milligrams a day — roughly one 11 ounce cup of coffee. It’s not a good idea to diet when you’re pregnant unless under the supervision of your doctor, because your growing baby needs a balance of nutrients to grow healthily. And you need to be nourished in order to handle the changes happening in your body too! So rather than dieting, focus on balance across different food groups to make sure you’re getting enough protein, wholegrain carbohydrates, natural fats and fibers. Eating lots of fresh vegetables and fruit is among the best things you can do to support your baby’s growth. Try to include vegetables of every color in your diet to boost your vitamin intake. Make sure you wash fresh foods well before eating. The FDA recommends that you avoid some risky foods during pregnancy, such as unpasteurized cheese. You can find the latest information about food safety here. A fresh and nutritious diet will help you to feel your best pregnant self. One wonderful benefit of a healthy diet is better sleep — and you’ll soon find out that anything that helps you sleep better while you’re pregnant is worth doing. Read this for a full run down on the very best foods to eat in pregnancy. How much, and what kind of exercise you do when you’re pregnant will depend on your fitness levels before you got pregnant. Many women who have an active lifestyle pre-pregnancy continue this throughout — runners keep on running, cyclists keep on cycling, and pre-pregnancy fitness will help to keep you moving as your bump grows. But if you’re usually more inclined to chill on the sofa than head out to the athletics track, fear not. You can start exercising gently as soon as you find out you’re pregnant. Walking, prenatal yoga or pilates, and gentle swimming are all really great forms of exercise to take up. Focusing on building fitness gradually will help you to sail through your pregnancy and manage the physical changes that come with it, and help you to recover quickly after you give birth. Being fit helps with the giving birth part, too. It takes a huge amount of energy and strength to get through labor, so it makes sense to prepare yourself with some muscle strengthening and stamina-building. Finally, don’t forget to relax. You need to. There’s a lot going on (you’re making a whole human!) and a lot to think about. Stress isn’t good for you or your baby, so take some time every day to sit quietly, breathe gently, and ground yourself in the present moment. If you find it hard to relax, mindfulness meditation or hypnobirthing might be perfect for you — and they’ll give you techniques which you can take with you into labor, and the sometimes overwhelming days of early motherhood. Pregged wishes you a happy and healthy pregnancy.